Beatrice Mang’anda, Project Coordinator for Concerned Youth Organization (CYO) in Mzuzu, Malawi, shared this case study with ehospice. The story of Shadreck Longwe highlights challenges inherent in providing palliative care to children in a resource poor community. 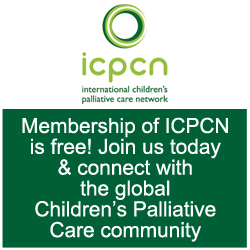 CYO is situated in the northern part of Malawi and, with funding from the African Palliative Care Association (APCA), is implementing a one year palliative care project for children. The photo shows Beatrice (left) with Shadreck’s aunt and Shadreck. Shadreck Longwe is a half orphan born in a village in the northern region of Malawi. His mother died immediately after a home delivery from a twin pregnancy, due to post-partum haemorrhage. The first twin died a few hours after birth, His father wished for Shadreck to die as well, after losing two people at once. While friends and family were busy attending to burial ceremonies of his mother and twin brother, he hid Shadreck in an unroofed mud house without clothing. That is where Shadreck’s aunt discovered him after three hours. He was suffering from severe hypothermia as it was raining at the time. She rescued him by wrapping him with warm clothes and blankets and took him to the nearest mission hospital where he was admitted and placed in an incubator. He improved after four weeks but his father never visited him. Upon discharge, Shadreck was taken to one of the orphanages in the city for continued care and support. He stayed there until he was 14 months old. 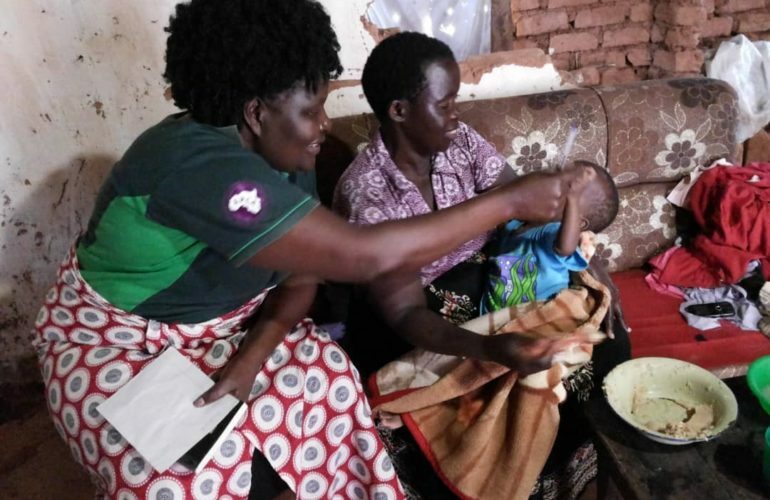 The Orphanage discharged him into the care of his aunt at this time because they had noticed that he had difficulty holding his head up, had poor swallowing reflexes during feeding and had stunted growth. At the hospital he was diagnosed as having cerebral palsy, due to brain damage. Now 1 year and 5 months old, Shadreck lives with his aunt and her husband, a carpenter, in the Masasa township of Mzuzu city. His aunt and uncle care for an additional six children and three grandchildren in the house. His aunt used to sell vegetables in town but has had to stop to take care of Shadreck. 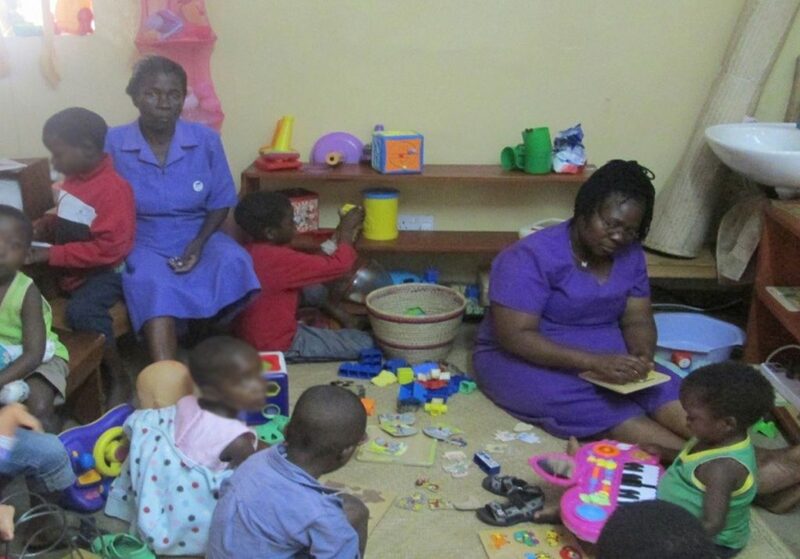 The family try their best to provide the necessary support to Shadreck and are under the care of the Mzuzu Central hospital palliative care unit. However, due to their poor socio economic status, they still face many challenges. The most important at present is how to provide quality care to Shadreck with regard to his nutrition as he only eats porridge. His aunt says she struggles to purchase the porridge with good nutritional value. She is no longer able to conduct her vegetable selling business and the earnings of her husband are not enough to meet the family’s basic needs. 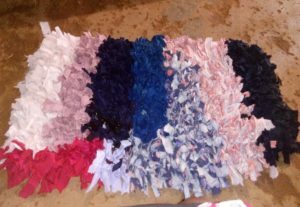 Shadreck’s aunt is presently making mats from home in an effort to bring in some money. Shadreck’s father has remarried and takes no interest in his son. Shadreck spends many hours strapped to his aunt’s back as she carries out her household chores. The house is in a devastating condition as the back wall collapsed due to heavy rains. Shadreck needs good food with great nutritional value that will enable him to grow and develop. 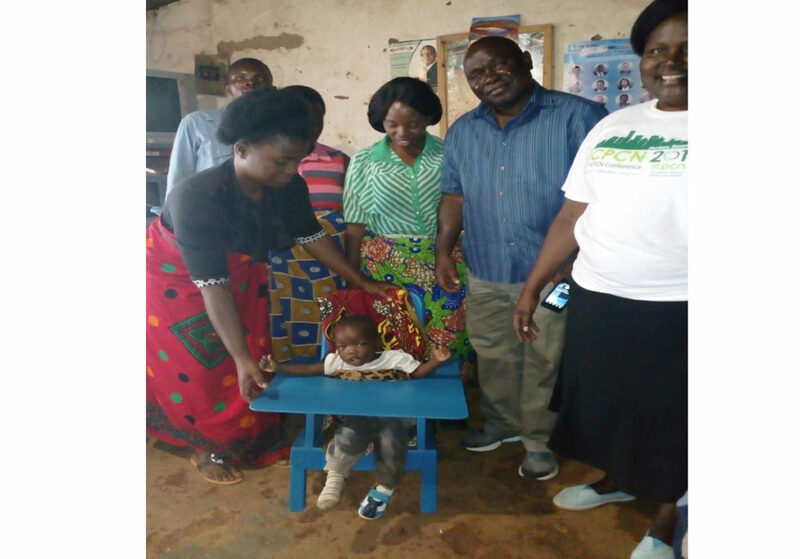 He has been connected to an Occupational Therapist from Mzuzu Central Hospital who is teaching the family some stimulating exercises to aid his swallowing reflexes so he can swallow food with greater ease. Shadreck is in need of a cerebral palsy chair to enable him to sit and help to hold up his floppy head. The chair would relieve his aunt from putting him on her back most of the time and allow friends to entertain him while he is in his chair. Shadreck’s aunt needs empowerment for her business.